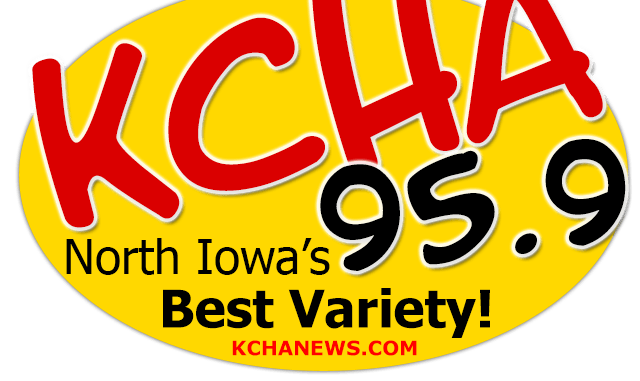 In a couple of games heard right here on KCHA last night, the Charles City Comet softball team opened up Northeast Iowa Conference play at home against Crestwood. The second-ranked Comets were able to win both games last night as they defeated the Cadets 1-0 in the first game and then took game two 5-4. Sami Heyer was the star in the first game as she pitched all seven innings, struck out 14 and gave up one hit. The lone run in the first game for the Comets came on a Ciana Sonberg RBI single that scored Liz Fiser. In game two, Charles City took an early 4-0 lead, but the Cadets stormed back with two runs in the sixth and two more in the seventh to tie the score. The tie did not last long as Maddie Peter led off the bottom of the seventh with a walk-off home run to give the Comets a 5-4 win. Charles City softball is now 5-0 on the season and they start the NEIC schedule at 2-0. The Comets will play again tonight as they welcome in Independence for a non-conference game. The Charles City Comet baseball team was on the road last night for a non-conference game against MFL-Mar-Mac. The Comets were able to pick up their first win of the season in dominating fashion as they won 21-1 in four innings. Theo Arndt, Colton Slinger, Dylan Salinas and Elliott Sinnwell each had two hits in the ball game. Slinger finished the game with four runs batted in and Salinas and Sinnwell each added three RBI. Carter Johanningmeier, Tait Arndt and Jace Cajthaml all pitched at least an inning in the game with Tait earning the win. The Comet baseball team improves to 1-1 on the season and they will begin Northeast Iowa Conference action tonight with a double-header at Waukon. You can tune into both games right here on KCHA starting with a pre-game at 4:45 and first pitch of the first game is scheduled for 5pm. The North Butler Bearcat softball team hosted Osage last night in a Top of Iowa Conference contest. The Bearcats were able to score at least one run in every inning and defeated the Green Devils 11-6. North Butler softball improves to 1-1 on the season and 1-0 in the conference while Osage falls to 0-2 and 0-1. North Butler will play again tonight at Central Springs and Osage will play at home tonight against North Union. The North Butler Bearcat baseball team was at home last night as well as they took on Clarksville in a non-conference game. The Bearcats were able to apply the mercy rule as they won the game 10-0 in five innings. Levi Lubben, Kendrick Miller and Colton Hobson each had two hits for the Bearcats. Beau Thompson got the win on the mound as he threw five innings, gave up just three hits and struck out 11. The North Butler baseball team is now 2-0 on the season and they will play at Central Springs tonight. The Rockford Warrior softball team picked up a shortened win last night as they beat CAL in non-conference play 14-0 in three innings. Jamie Schuster earned the win as she pitched the three innings, gave up two hits and struck out eight. The Warrior softball team is now 2-0 on the season and they will play again tonight at West Hancock.